Being looked at makes many people nervous. It’s a near-universal anxiety-inducer. 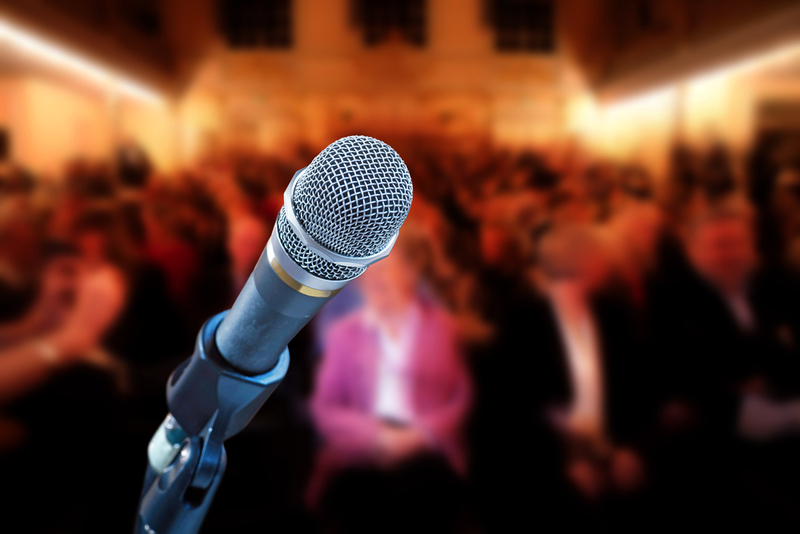 For that reason, many people dislike giving presentations, and many people – who are very articulate, convincing and charming when they aren’t presenting – can’t come across at their warm, easy, charismatic best in this context. We know exactly how to tackle these anxieties and start the process of eradicating them altogether. We can work with people to develop more impactful behaviour that will help them both seem and feel happy and in control of the room. And we can show them how storytelling techniques can give them a presentation that flows, that is imbued with their personality, that resonates with the audience and which they will remember. If you’re filled with anxiety about that presentation you have coming up, or you’re worried that all you’re doing is reading out bullet points to a bored audience, you should get in touch with our team today. Whether it’s a regular team-update, a rare opportunity to pitch for new business or a once-in-a-lifetime opportunity to tell your story on a huge stage, we can help you present with style, passion and clarity.